Starting Sunday, August 2, I am going to start a little series on my Good Artbox blog. 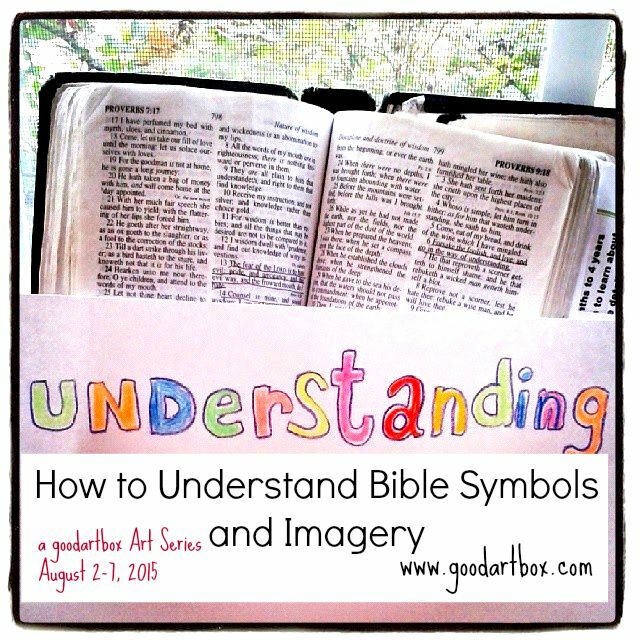 This series will be an artful adventure of studying symbols and imagery in the Bible. Most of the symbols you probably already know. But this is something that I have wanted to do for awhile now. So I am going to go for it! When I did the Colors in the Bible series, I just wanted to highlight a few of the colors in the Bible. I learned quite a bit from that. It was fun to learn and also fun to post. Won't you join me Sunday and follow along as I share through art the symbols and imagery in the Bible. And absolutely study along with your Bible in hand. Follow via e-mail and receive the posts right in your inbox!